Across our nation, Fire service, Police and EMS are in risky and dangerous situations every day. 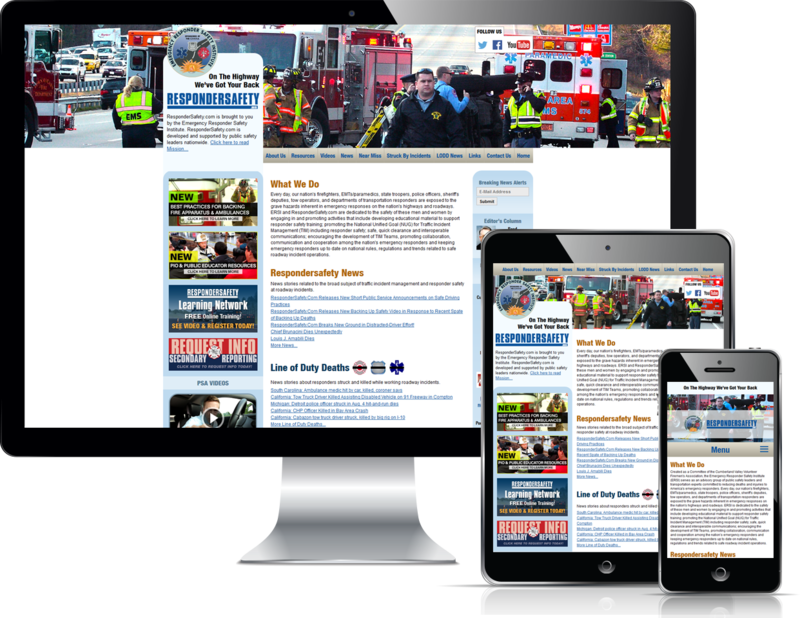 Responder Safety serves that audience with online resources like, digital training tools, photos, videos and articles on safety. Created with the Cumberland Valley Volunteer Firemen’s Association & Responder Safety Institute, the Web site is part of their commitment to reducing deaths and injuries to America’s Emergency Responders. This content managed web site serves as many as 20,000 unique visitors a month from across the country. Stonehouse Media Incorporated not only built and maintains the Web site, but also produces and delivers the videos for DVD and online usage.